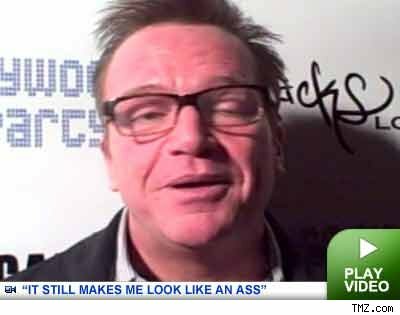 Actor, Tom Arnold, is one of the few celebrities who has consistently supported the troops. He’s made multiple trips to Afghanistan for the USO. burned over 90% of their bodies during combat. Because Arnold said he would show, sponsors including FOX TV, Spike TV, and Sea Allure agreed to fly the soldiers (a group of burn victims) out by private jet to the screening last weekend. But twice before the event Arnold bailed because of “scheduling issues” then, just two hours before the red carpet event, he backed out for a final time, citing an illness. Ed McMahon attended the event in a neck brace, having suffered a broken neck last year.